From the hit wacky 1966 Batman TV Series! This Batman 1966 TV Series Batmobile Pop! 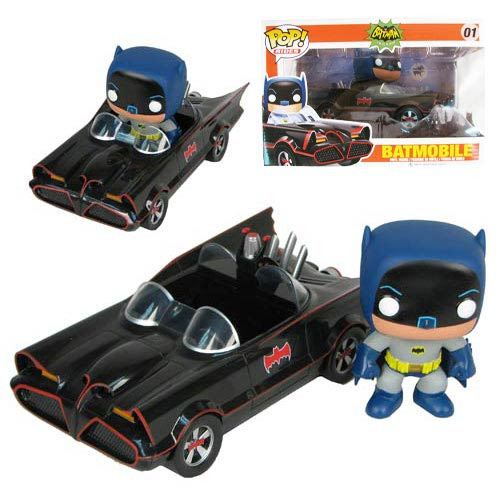 Vinyl Vehicle features Batman's trusty super-vehicle rendered in the adorable Pop! Vinyl format. Plus, it even comes with a 3 3/4-inch tall Pop! Vinyl Figure version of Batman from the 1966 TV Series that fits perfectly inside of the Batmobile! Ages 5 and up.